Mercure SP Nações Unidas Hotel in Chácara Santo Antônio, easy access to Marginal Pinheiros motorway which connects to the main business centers of São Paulo (Av. Luís Carlos Berrini, CENESP, American Consulate); 3km from Morumbi and Market Place malls. Newly renovated, modern structure, ideal for work stays. Near major exhibition centers, shuch as Transamérica Expo Center, WTC and Imigrantes. Cozy apartments with vinyl flooring, desk, digital safe for your notebook, equipped with air conditioning and complimentary WIFI. Enjoy our location for family leisure, near concert halls such as Citibank Hall, Tom Brasil and Morumbi Stadium for shows and football matches. Easy access to Santo Amaro, Socorro and Interlagos regions. Enjoy our location for family leisure, near concert halls such as Citibank Hall, Tom Brasil and Morumbi Stadium for shows and football matches. Easy access to Santo Amaro, Socorro and Interlagos. Close to Morumbi, Market Place, Jardim Sul and Interlagos shoping centers. Near exhibition centers Transamérica, WTC and Imigrantes. Less than 1km from the Granja Julieta station of CPTM. Comfortable standard and luxury apartments measuring 291 sq. ft. (27 m²), with everything you need for a comfortable stay: fully equipped kitchen, desk, closet, electronic safe, cable TV, and wired and wireless Internet. Old and simple Infrastructure. Not got help with power adapter. Not hamburger bread in hamburgers. Pleasant stay. Personnel is courteous and some could speak good english. Rooms are clean. The only issue was that my collegue staying in the same hotel found a cockroach in her pillow. Good ac, nice beds, clean sheets and towels, competent and respectful employees. There is a fine rooftop with poo and garden. I reccomend it. King size bed and the room was excellent! The rooms are clean and comfortable. The reception staff are very professional (they could smile a little bit more). I left before the breakfast time and the hotel has understood the situation and prepared small one for me and other people. Very kind... I appreciate the breakfast (the full one). Many options and an amazing croissant! 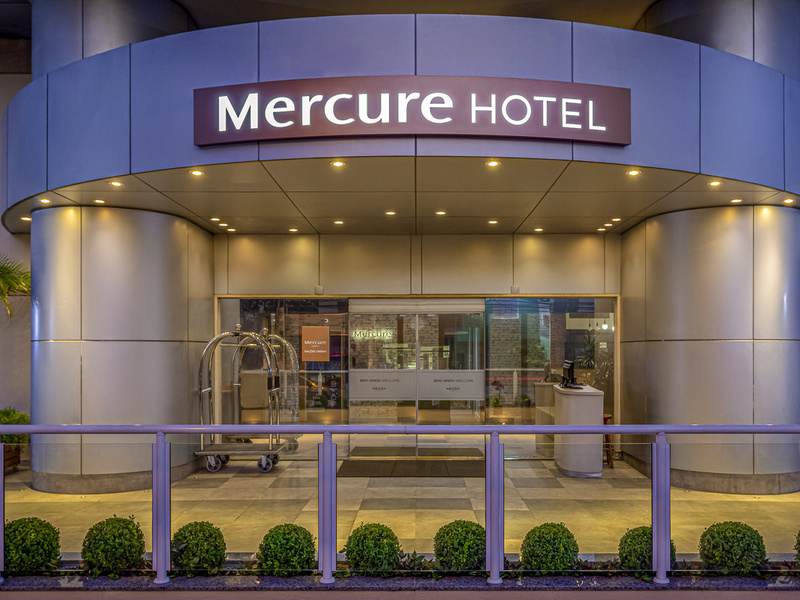 I really enjoyed this Mercure, better than the others that I use to stay. People are very kind and the breakfast is very good. The room is fare enough and the location is near one of the major streets in São Paulo. I was underwhelmed by the amenities in the room. But I thought the front desk service was excellent. Staff has given me attention about things I have required and offered me a good service. It is close to my job and it also has a gymn that is important for me, and besides it belongs to Le Club Accor Hotels network.